Castillo took the picture using a “Calcium K” filter tuned to the light of ionized calcium atoms in the sun’s lower atmosphere. Calcium K filters highlight the bright magnetic froth that sometimes forms around a sunspot’s dark core. AR2396 is very frothy, indeed. Magnetic froth, however, does not herald an explosion. It merely means that the sunspot is photogenic. 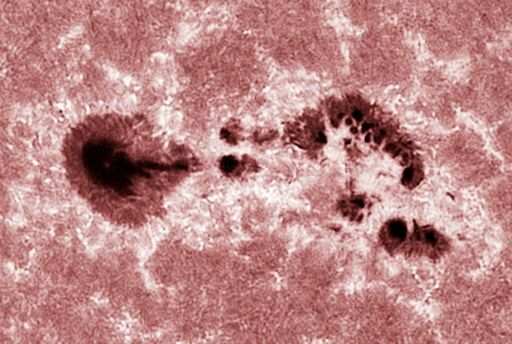 This entry was posted in Of Interest and tagged solar activity, sunspots by marcia. Bookmark the permalink.